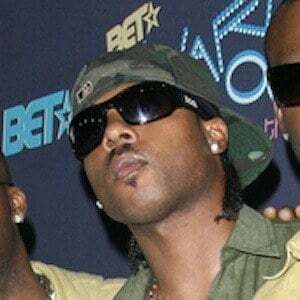 R&B singer known for being part of the group Jagged Edge. They're known for the albums J.E. Heartbreak and Jagged Little Thrill, which combined to go platinum three times. He grew up singing in church and got more involved in music, writing lyrics with his twin brother, when the family moved to Atlanta. He was originally in a group called Twin AK, which eventually morphed into Jagged Edge. His twin brother is named Brian. Their father was a member of the Hartford Board of Education. He and his brother helped writer Usher's song "Nice and Slow."